Sciatica is pain arising in the sciatic nerve. The sciatic nerve is the largest nerve in the body, running from the spinal cord down through the buttock and the back of each leg to the foot. Sciatic pain is most often caused by abnormal pressure on the nerve roots in the spinal cord. Whilst surgery is an appropriate intervention in only 10% of long term cases, most people prefer to avoid surgery until all other options have been explored. Many people consider conservative care such as chiropractic, osteopathy, rehabilitation and massage to be real alternatives. Why not speak to your G.P about Chiropractic care and ask for a local recommendation? The current NICE guidelines for the management of lower back pain with or without Sciatica recommend a course of Manual Therapy combined with exercise. Chiropractors, Osteopaths and Physiotherapists regularly treat sciatica with a combination of hands on treatments and specific advice on exercise tailored to your individual case. Sciatica is characterised by pain that originates in the low back or buttock that travels into one or both legs. Pain is described as dull, achy, sharp, toothache-like, pins and needles or similar to electric shocks. Other symptoms associated with sciatica include burning, numbness and tingling sensations. Sciatica is also called radiating or referred pain, neuropathy, or neuralgia. Sciatica is often caused by sciatic nerve compression and can also be described as a trapped nerve. In most cases, the sciatic nerve is trapped by either a bulging or 'slipped' disc or by bony encroachment due to wear and tear. Sciatica is a condition that responds well to Chiropractic care. A thorough examination is essential before treatment can begin, since without due care, it is far too easy to aggravate an already irritated sciatic nerve. 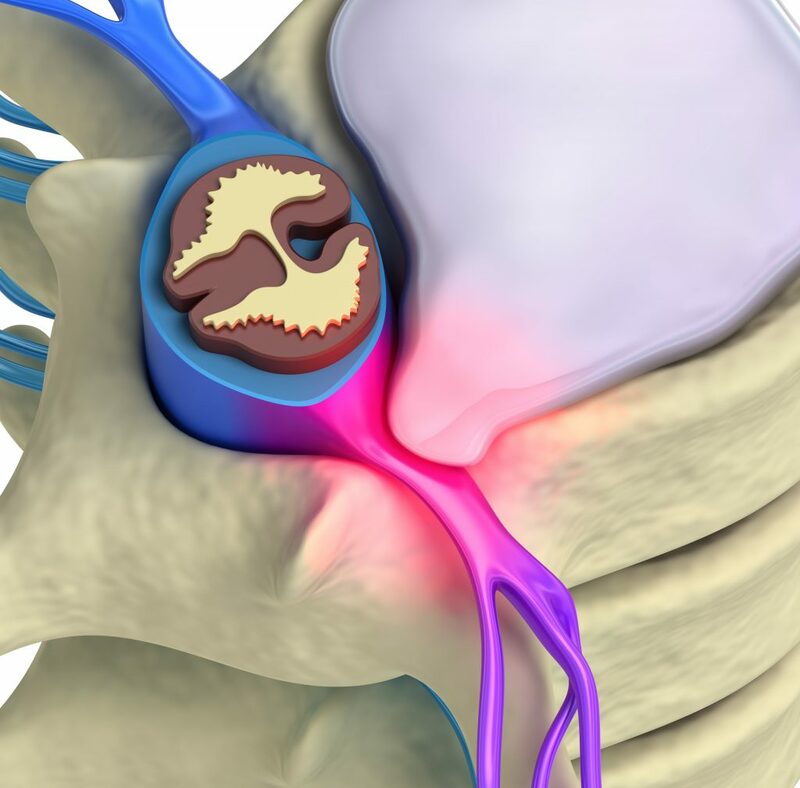 When your chiropractor has completed his consultation and examination, he should be able to tell you which nerve root is irritated and target treatment accordingly. Whatever the cause of your sciatica, thousands of people like you are finding relief from their symptoms through conservative care. A combination of manipulation/mobilisation, massage, acupuncture and your own specifically targeted stretches will allow you to return to your normal life.